There are 5 levels which we call N1, N2, N3, N4 and N5. You can learn the technique of answering the test. If you would like, you can take a practice test for knowing how much you can do. We have classes for N1 and N2 for 6 months from July and N3 to N5 for 3 months from September. This course has 10 lessons. You will study once a week at the same day & time. 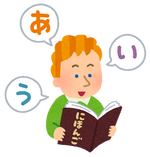 ​There are a grammar class and a conversation class.​　In a grammar class, ​we teach Japanese with a curriculum based on a textbook we use. You will take a test in the 9th week. 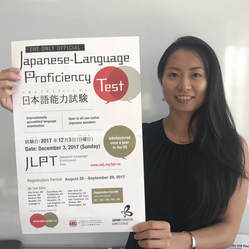 The test will show you how much you have improved your Japanese skills. The conversation class has various levels. If you are interested in it, we will talk which is proper level for you. 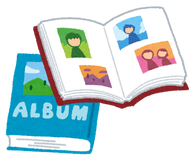 In this course you can study grammar, conversation, exam preparation course of the same class type as Group lesson at your pace. 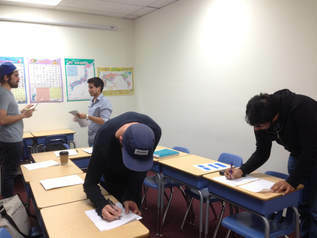 You can get a certificate of completion of 420 hours Japanese Teacher Training. It's also great opportunity for us to learn about English and Japanese relations as a language. FUJI SCHOOL is now hiring a Japanese teacher. ​If you're currently living in Japan, we provide the airport pick-up service and the accommodation arrangement. Please feel free to contact us.